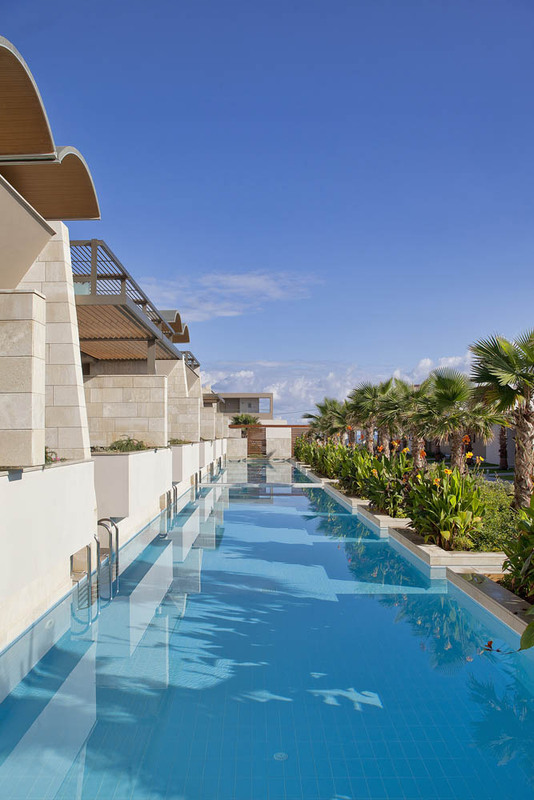 Surrounded by fragrant gardens and palm trees, with a spacious welcoming pool lounge and 3 stunningly beautiful swimming pools for adults, 2 pools for children and an indoor heated pool for year-round enjoyment, Avra Imperial Hotel in Chania, ensures a truly relaxing retreat in the enchanting island of Crete. 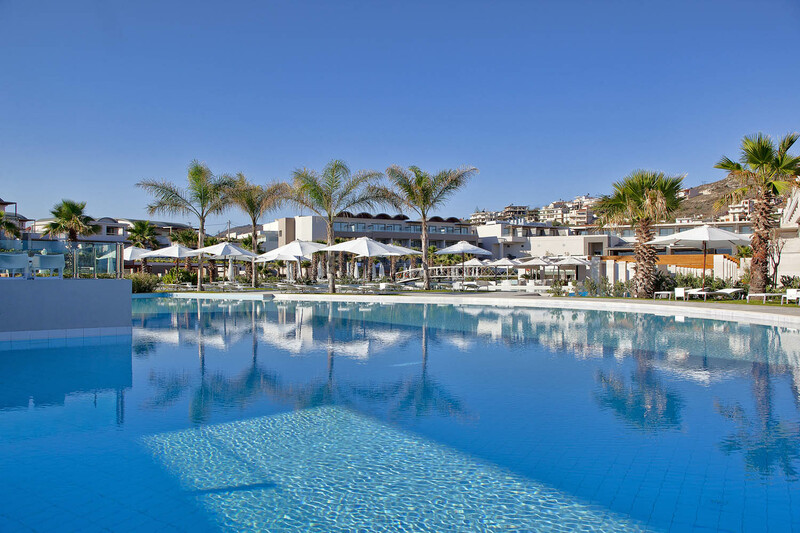 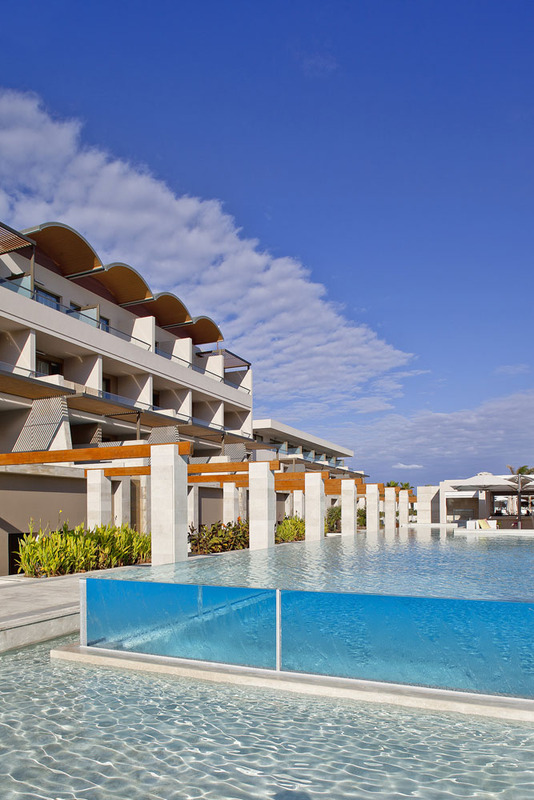 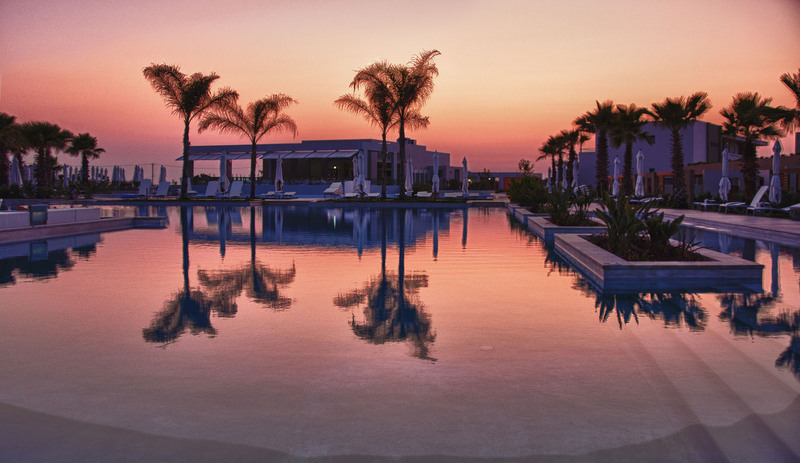 The hotel’s stunning swimming pools and extensive sun kissed terraces boasting two incredible Aura pool lounges provide the perfect setting for refreshing swims and relaxation at the pool, while our dedicated staff will be serving you refreshing drinks and cocktails or freshly prepared snacks. 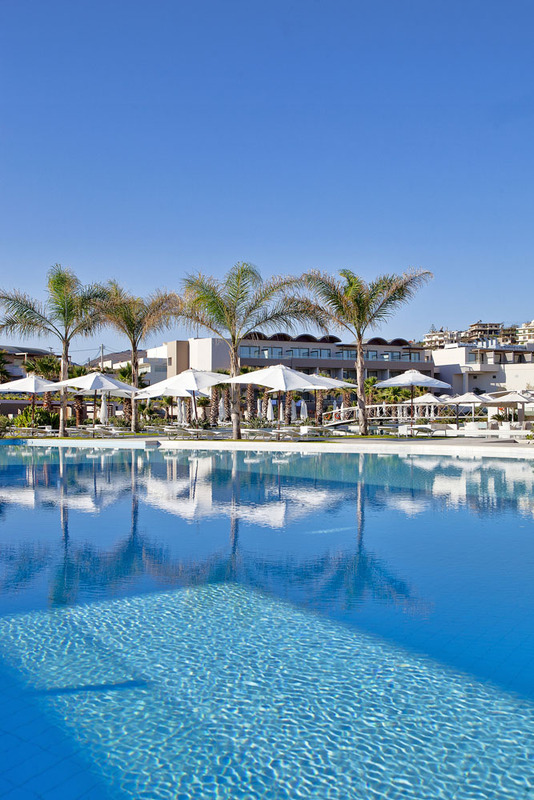 And if your dream holiday features endless days by the pool until the golden Greek sun sets, or your little ones can never get enough of water games, several private or shared swimming pools have come “to save the day”. 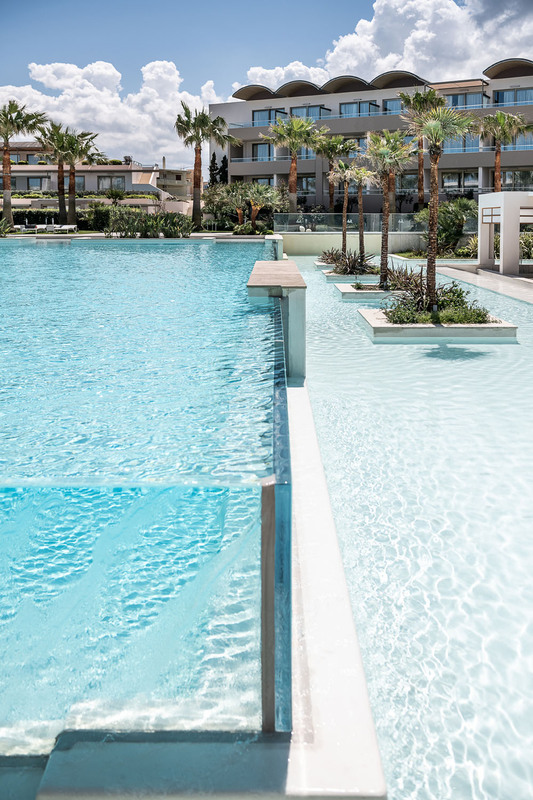 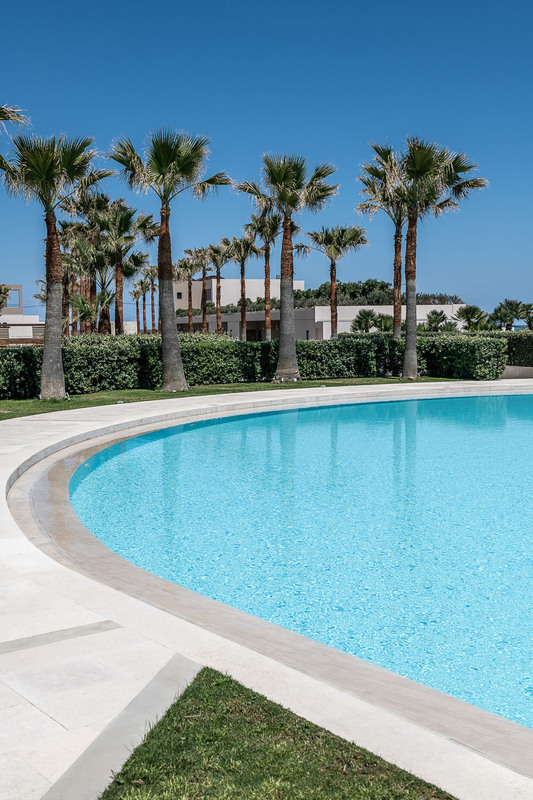 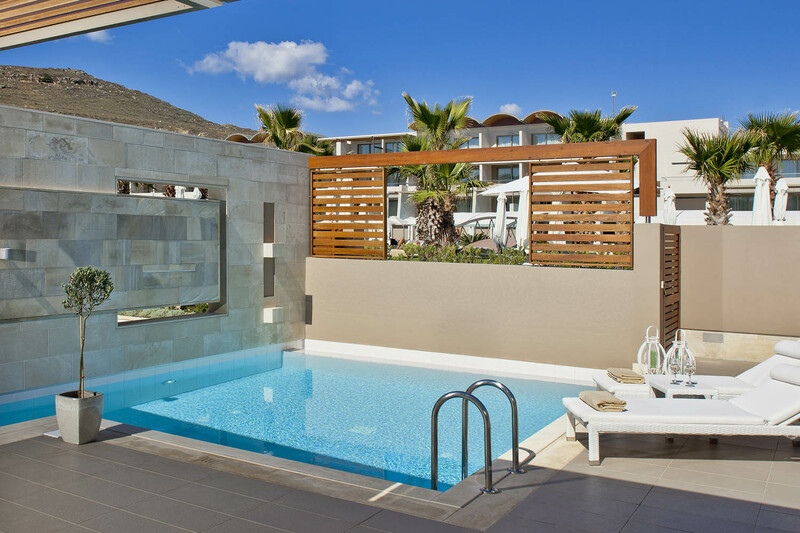 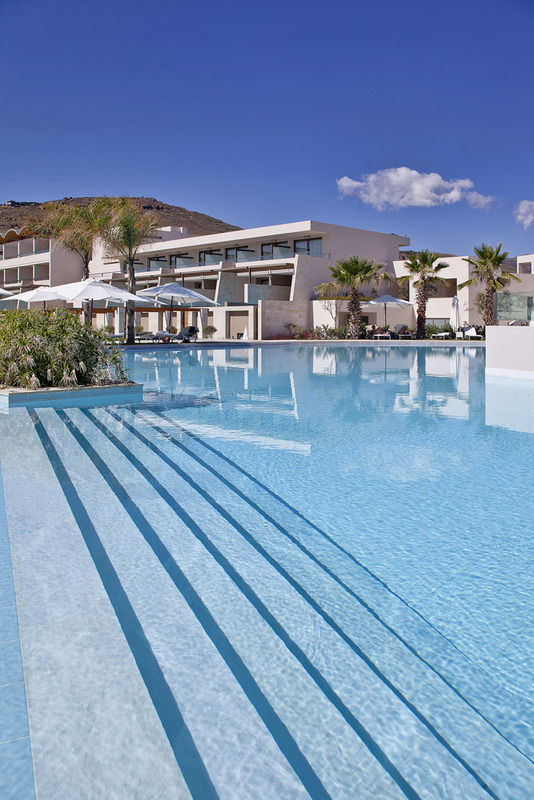 At Avra Imperial Hotel an experience beyond compare awaits with no less than 118 rooms and suites featuring their own private or shared pool, providing an oasis during the hot summer days in Crete. 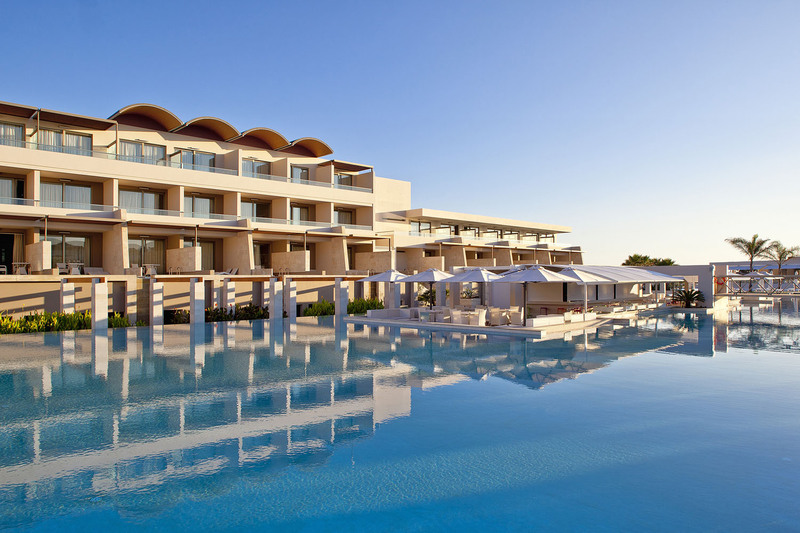 Pool loungers, parasols and towel service are available throughout the day, free of charge for hotel guests. 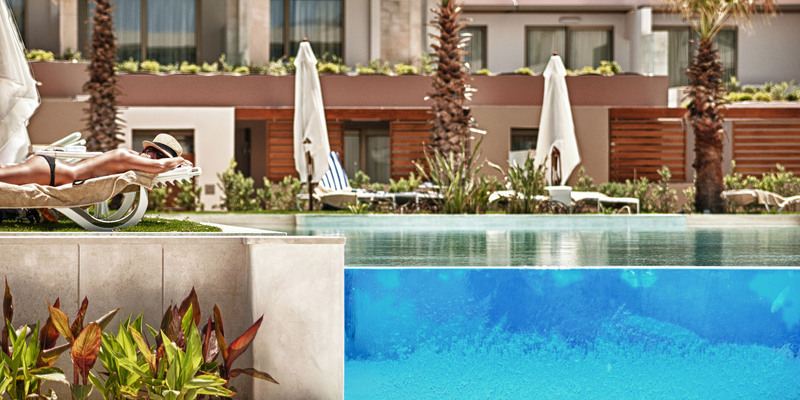 All common, shared and private pools are 1.40m deep. 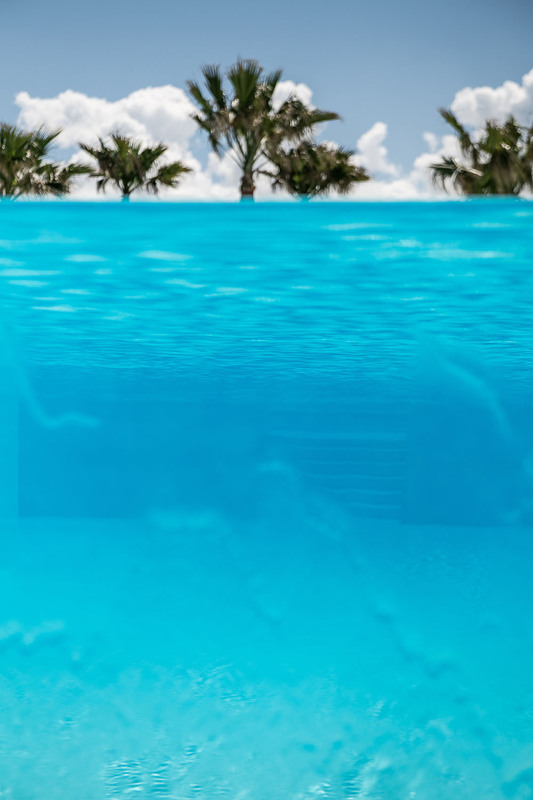 All children’s pools are up to 0.50m deep. 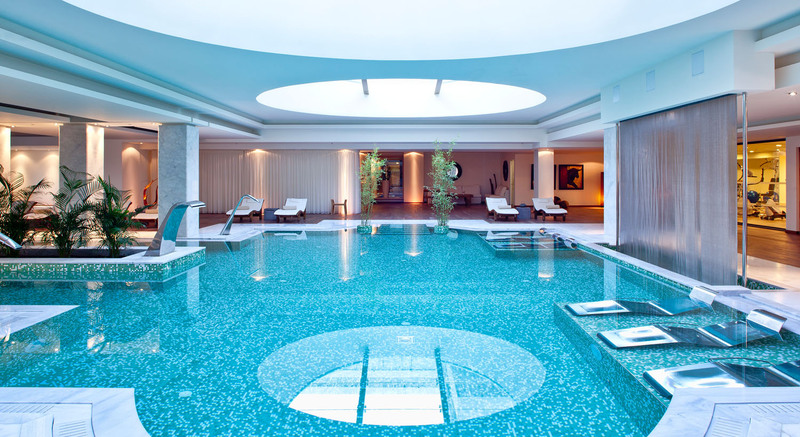 Children under the age of 14 are not allowed in the spa facilities and the indoor heated swimming pool. 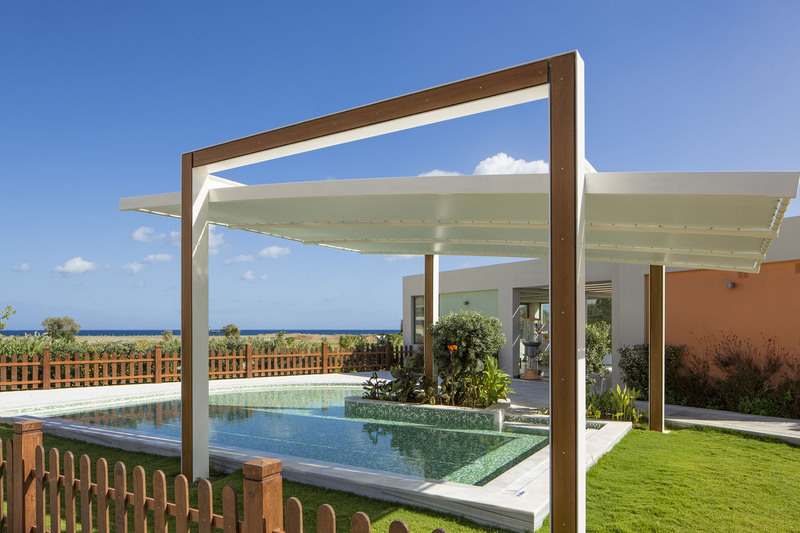 Avra Imperial is located right next to the wonderful, awarded with the EU Blue Flag beach of Kolymbari; one of the best and easily accessible beaches located close to Chania city. 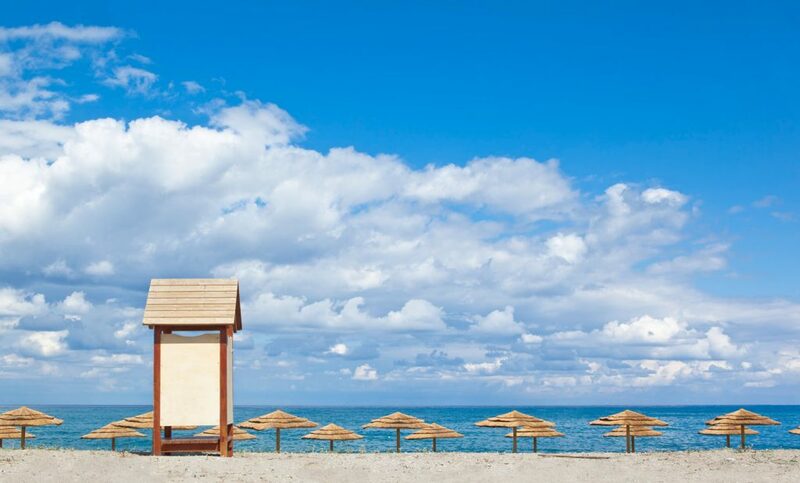 Featuring fine sand and pebbles, Kolymbari beach is well-known for its untouched beauty and crystal clear waters, offering magnificent views to the picturesque Rodopou peninsula to the West and the Thodorou islet, a preservation area of the Cretan wild goat widely known as Kri-kri. 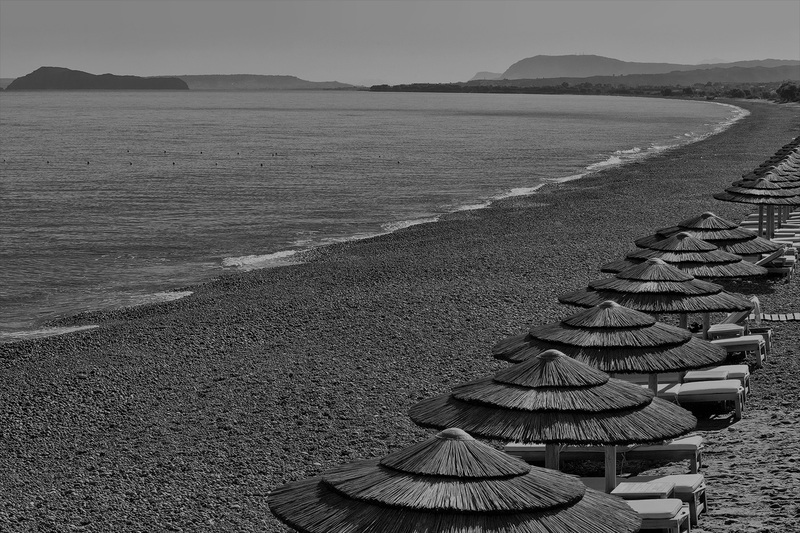 The quiet atmosphere of the beach makes it the ideal setting to enjoy some moments of relaxation overlooking the resplendent Cretan sea, always under the awakening eye of the dedicated lifeguard. 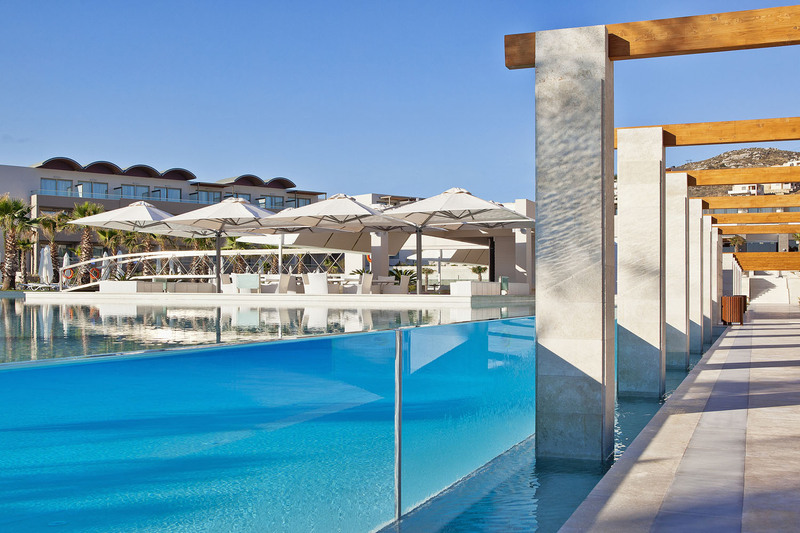 And for those of you who want to soak up the sun with a cocktail in hand, we created the sophisticated Blu Beach Bar to better serve your needs right next to your favorite beach. 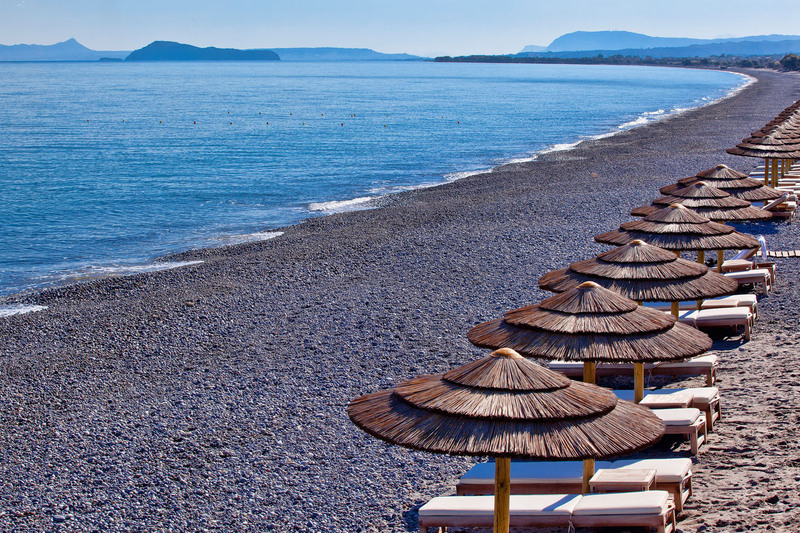 Beach loungers, parasols and towel service are available throughout the day, free of charge for hotel guests.